Instagram is getting some big changes today with version 7 of its app. 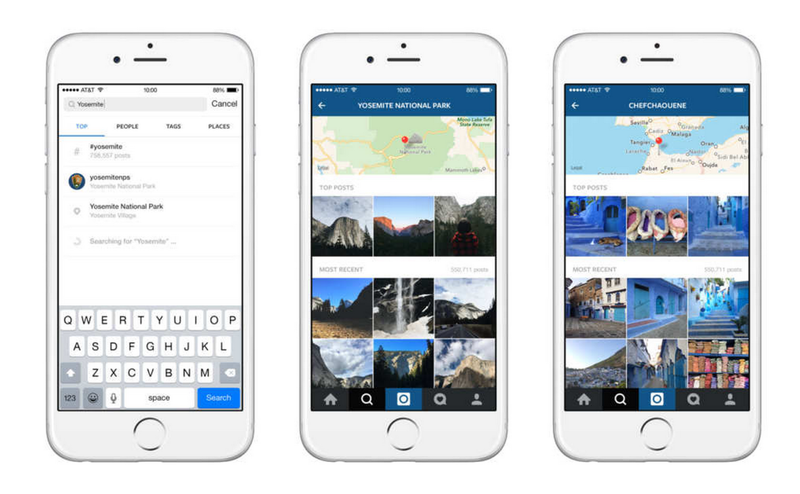 The update is primarily aimed at making it easier to search for specific images as well as discover new ones. You can now find images by their location as well as by people and tags. Meanwhile, users in the US get an “Explore” page that will showcase trending tags and places. These cover both local trends and global trends so you can get a taste of what’s happening in photograhy around the world. The new section will also feature a curated selection of accounts, places and topics, which are organized into collections. This means you could easily find images centered around a specific location and event – although Instagram will be choosing the selections for you. It’s a big shift for Instagram. While it’s full of great content, many users likely never see much more than the feed of images their friends post. You can search for new content by hashtag, of course, but you need to know what you’re looking for. It’s a move in the same vein as Twitter’s upcoming Project Lightining – curated content helps new users find a reason to sign up for a platform, and keeps existing users engaged. Given the sheer quantity of images on the platform, it could be a good way to make sure some of the higher quality art is better showcased. The update is rolling out today to both iOS and Android. No word on when this is coming to the Web, however. As for why the Explore page isn’t available elsewhere yet, Instagram tells us it’s working on optimizing the feature for other locations, and that given the scope of the project, it wants to make sure it gets the experience right before bringing it to other people.